There are only so many tanks a septic pumper can service in a day. 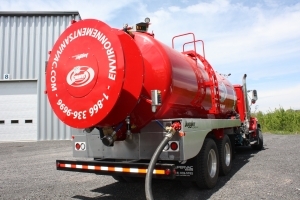 The driver can typically only pump three or four tanks before the truck’s vacuum tank fills up, requiring a trip to a treatment facility to empty it before they can get to their next job. When disposal and transportation costs, not to mention labor time is added up, the total is significant. The Juggler is designed to solve those issues. 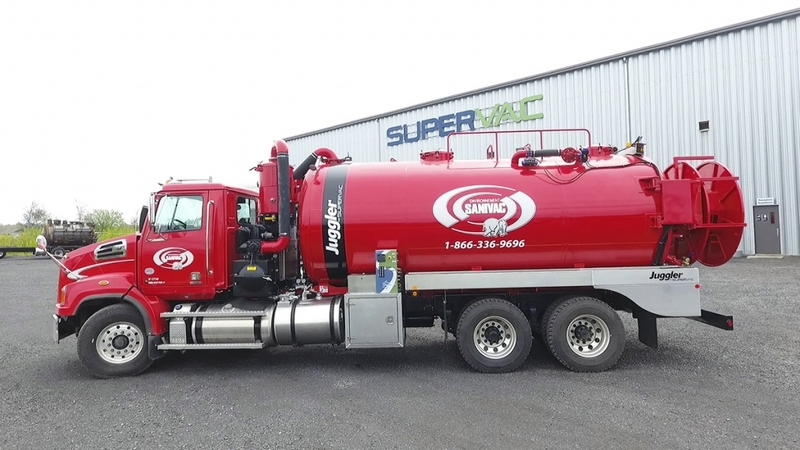 The pumping and liquid-solid separating system from Supervac is designed for use servicing grease traps and septic tanks, without the use of chemicals. The key to the unit’s potential savings lies in a filtration system designed to return a liquid that is 80-percent free of solids right back into the septic tank, without affecting bacterial action. Because the water is left behind at the site, operators are able to benefit from up to 300 percent more revenue stops per day, with the bonus of slashed disposal costs that, when examined on a fee-per-gallon basis, can reduce operational costs by up to 80 percent. According to Sheehy, the filtration technology was produced on a limited basis by a Canadian company in the mid-2000s, but didn’t catch hold with consumers. However, with today’s high value placed on efficiency and environmental awareness, Sheehy believes that the sky is the limit for the market. The Juggler’s smart control system is designed to mirror the varied vacuum demands of the pumping event. Efficient energy management means no more smoke, much less noise, a reduction in pump and engine wear and substantial fuel savings. All of the truck’s major functions are either supported via remote control or automated, optimizing the operators’ time and attention. The unit includes a rear-mounted 36-inch remote-operated hose reel, working lights at rear and sides, and two 20-inch manholes to make tank cleaning easy. The two-compartment tank can hold up to 3,600 gallons of solids along with 1,200 gallons of graywater. It includes a ladder and handrail on the curbside, a main control panel on the driver side, a primary shut-off valve inside the top of the tank, two separate hydraulic coolers, a secondary shut-off valve for outside protection, a four-way valve on the 1,400 cfm blower that is hot shift PTO and hydraulic driven and hose trays on both sides. According to Sheehy, the unit is bolt-and-go, and can mounted to the buyers’ choice of chassis. Sheehy says that when the per-day disposal and transportation costs are combined with labor, The Juggler can save an operator upwards of $813 per day. Based on a working year of 150 days, the truck can bring in a savings of more than $122,000 annually. The unit is also a marketing tool for operators. Find out all the advantages of the Juggler unit!